When teeth are lost, the bone that used to surround them begins to melt away or “resorb.” Tooth-supporting bone can also be lost when you have periodontal (gum) disease. If you loose enough teeth and bone, your facial features will sag, giving you a more aged appearance; it can also complicate treatment to replace your missing teeth. 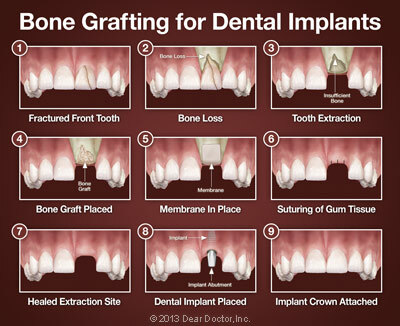 Fortunately, modern bone grafting-techniques allow us to build up the bone that has been lost. This can benefit both your health and appearance by strengthening your jawbone, allowing more effective tooth replacement, and increasing support to your facial features. 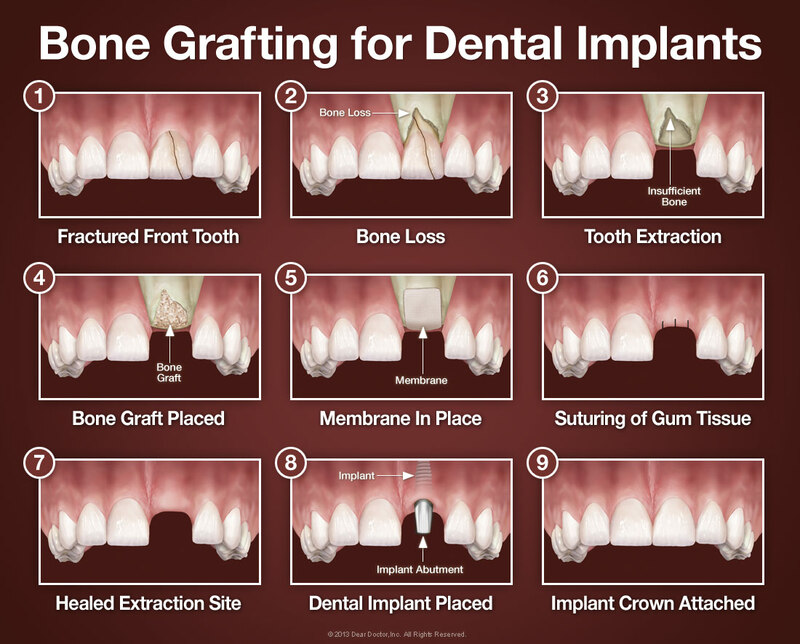 Bone grafting is a minor surgical procedure that is normally done right here in the dental office. 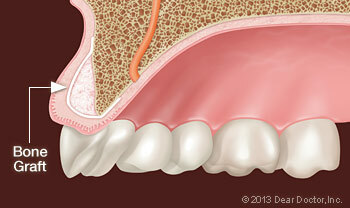 An incision is made in your gum to gain access to the bone beneath it, and then grafting material is added. Most often, the grafting material is processed bone minerals around which your body will actually deposit new bone cells. Saving Teeth — When severe periodontal disease causes bone loss, teeth can become loose and at risk of being lost. In order to save them, we can rebuild the bone around them through grafting; this increases bone support and helps keep them in place. Tooth Extractions — These days, it is very common to deposit bone grafting material into a tooth socket after a tooth has been removed. That way, should you want to replace your tooth with a dental implant later on, that option will be available to you. The procedure for placing a bone graft usually requires only local anesthesia, though oral or IV (intravenous) sedatives can also be used to achieve a higher state of relaxation. Because we need to make a small incision in your gum tissue to gain access to the bone that will receive the graft, you may experience some soreness in the area after the surgery. This can usually be managed by over-the-counter anti-inflammatory medication and/or pain relievers, as well as ice therapy after the procedure. Any discomfort should only last a day or two. Then, over the next several months, your body will replace the graft with its own bone, reversing the decline in bone quantity you have experienced.